The 2020 Toyota Land Cruiser Heritage Edition is an example of excellent product strategy: throw a few key cosmetic tweaks on an old model, declare it to be special and mark the price up while stoking love for the nameplate in general. I fall for it every time, and I just did again, because this truck looks sweet. The current Land Cruiser, the 200 Series, does not have removable doors or a manual transmission option but otherwise might be the most anachronistic luxury SUV you can buy right now. The body style was introduced a decade ago, the 5.7-liter V8 has been around for just as long, and the whole thing is built around a simple-but-sturdy frame. Add some scrumptious leather seats, and somehow you’ve got yourself an $80,000 vehicle. ($84,765, to be exact). Toyota doesn’t sell very many of them– the company reports 3,222 people bought brand-new Land Cruisers in 2018–but it doesn’t really have to, because the profit margin on each one has to be as wide as the truck’s tailgate emblem at this point. For a little more industry context, Toyota also sold 139,694 4Runners last year. And Jeep sold 240,032 Wranglers. The Mercedes G Class was a little closer at 3,970 units. Anyway speaking of badging and the concept of getting a lot from a little, the 2020 Toyota Land Cruiser Heritage Edition is the same old Land Cruiser with no third row seat, two paint color options (black and white), a bronze-trimmed black interior, gorgeous bronze BBS wheels and the pièce de résistance: retro emblems mounted on the D-pillars which look tailored to fit the Instagram overland aesthetic just perfectly. If you haven’t been on Instagram lately, like in the last couple years, the “overland aesthetic” I’m referring to would be described by haters as “hipster car camping.” And if you still don’t know what I’m talking about, the starter pack is pretty much an SUV with more LEDs than a cop car, a tent on its roof, lots of leather and canvas, yoga pants, jaunty hat, a dog that is preferably an Australian Shepherd, and you get 100 extra points if you string café lights over your campsite. Shoot, now I kind of sound like a hater! Nah, nothing wrong with enjoying trucks and the outdoors and also having a penchant for retro design. I like coffee and flannels and off-roading, too. And if I had a Land Cruiser Heritage Edition I would Instagram the hell out of it. My only real criticism of Toyota here is that this low-hanging fruit took way too long to pick. Land Rover has been marketing itself as the quintessential luxury adventure vehicle for decades, when really the Land Cruiser is much more an embodiment of old-school-cool you can buy new today than anything the British brand is turning out right now. 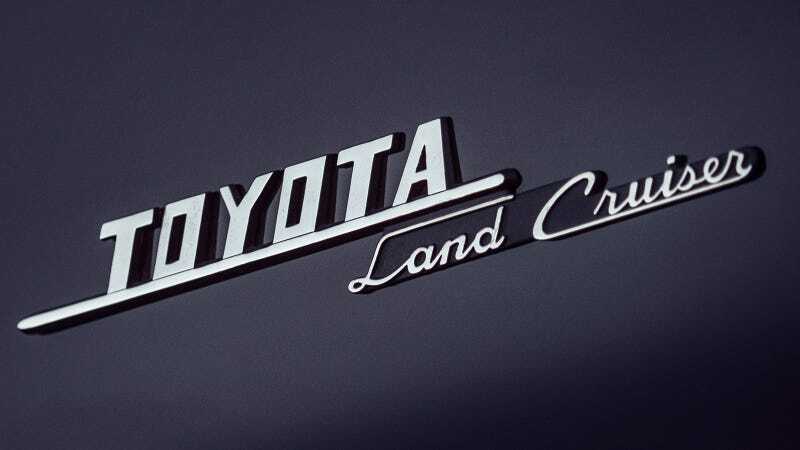 Apparently only 1,200 2020 Toyota Land Cruiser Heritage Editions will be built for a price TBD (over $90,000 I’m sure) but don’t worry, I have already been asking what the part number is for that sweet retro badge and I’ll make sure to share it as soon as I figure that out.